The Sainsbury’s Active Kids scheme begins for 2015 TOMORROW. Amazingly, for the first time EVER we’ve been sent a pack of stuff – an actual catalogue (no having to go through the website to write my list to give to the girls and trying to describe items to them…! ), posters and even a box to assemble to collect vouchers in. I think we even have an envelope to send off our vouchers in!!!! I don’t know if everyone got one, or if it’s because for the last two years we didn’t get anything and had so many issues with putting in our order because we never received our ‘pack’ that this year they pre-empted my annual Active Kids vouchers tweets and e-mails to them. Anyway, as I’ve not been in the supermarket for the last week, I’m glad they did as I didn’t realise it was starting this month. If your group isn’t registered, you can sign up to Active Kids on their website. It IS worth doing (I think…even though the ordering part has caused me to wonder if it’s not worth the hassle each year). So the voucher scheme has ended and we all have about 6 weeks to get our vouchers banked, orders in before the summer holidays in England begin. Our aim this year was to collect 1,500 vouchers. I’m not sure if we’ve managed to do that yet or not…I still have vouchers arriving through the post and to collect from the girls and other leaders. Once we’ve done that we’ll count them up to see what we have to spend. Because the catalogue is only available online (which is not particularly helpful when you have no internet access in your meeting place), I go through the catalogue and everything that is within our voucher budget and could be used by our unit I write down on a list, along with how much vouchers they cost. I will miss out anything that is stuff our unit has already or has access to (like cups – we don’t need cups!) or won’t likely ever use (like flags that need to be put in the ground or basketballs). Everything else – measuring spoons to compasses to torches to footballs to pom poms goes on the list. I then give this to the girls and ask them to consider what they’d like to get, as long as it’s something the whole unit can use. 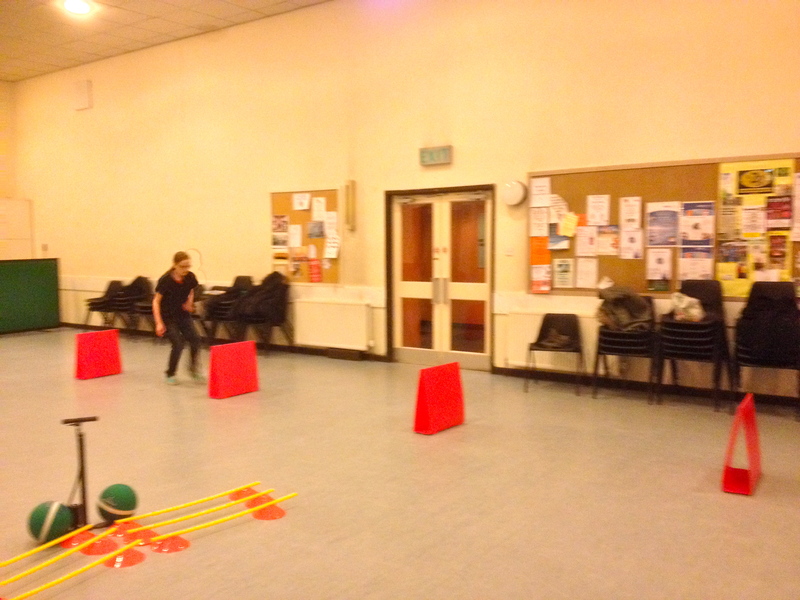 So when we got hurdles for using in relay races (they like to set up obstacle course relay races) – we got more than one so that there was at least one per patrol. Last year we discouraged them from cooking equipment because we figured we can get things pretty cheaply anyway, but as the kitchen in our church hall we use for Guides is so ill equipped and they bake and make food every chance the get, we may do that. We don’t really have the money in our budget to pay for much just now, so if we can get it for ‘free’ with Active Kids vouchers and they want to get it – that’s fine with me! So in the next two weeks this list will go to the girls and they’ll hopefully agree on a shopping list, give it back to me so I can put in our order. This year I’m more clued up on the process and the fact I need to arrange for a free postal collection to send the vouchers in. That’s how we do it in our unit. How do you decide what to spend your vouchers on in yours? So a new term has begun, and on Easter Monday – the Guide leaders gathered at our usual meeting time to plan the term. Well, not so very much planning happened because there was too much news to catch up on over the Easter Holidays. And we counted the vouchers that had been collected – many friends had posted and handed me vouchers over the holidays…with the ones our Unit Leader has still to give to me…we have now gone over the 1000 mark! We have 2 weeks to go, and really hoping that we can reach our target 1,500 vouchers so we can beat last year’s 1,400. 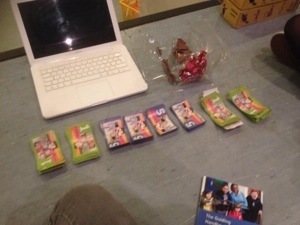 And then will come the fun of how we get our 14 girls to decide what they’d like the vouchers spent on. 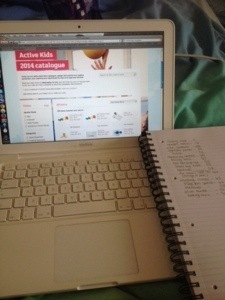 Last year, we got on board with Active Kids voucher collecting. I’d tried to find out about it in 2012 and not really succeeded, but in 2013 as soon as I saw the vouchers appearing I was on the internet getting us registered! I’ve collected vouchers for years. A few of my friends are teachers, after school club workers and one used to be a Beaver Scout leader so there was always a group to collect them for. Over time a few of my friends give me vouchers knowing I would have a group to pass them onto! In 2013 though, more stepped up to help collect for our Unit. The power of social media meant that I could say thank you and keep friends updated – several friends posted me vouchers after they’d finished collecting, and our unit was so grateful. We ended up with over 1000 vouchers, and on the last night of term, I’d copied down what we could get with our vouchers and how many vouchers each item would cost. The girls then took this and by the end of the night gave me their ‘shopping list’. We felt it was important they decided, and they did this with very little input from the leaders. We got some training tracks, hurdles, a ball pump and two dodgeballs. I did add a kitchen timer to the list (as it required hardly any vouchers and we had some leftover) because the girls cook a lot and have a habit of forgetting to remember how long they’ve had the oven on for. The girls like making obstacle courses and creating new team games, so I hope that over the next few years we can take care of what we’ve got and add to it by collecting more vouchers. I’d really encourage anyone who’s not done this to get involved either by registering their unit, district or division with Active Kids and get collecting, or make an effort to collect vouchers and give them in to a group who will use them. It’s starting up again soon and you can find out more about how your Guide Unit can be involved here. 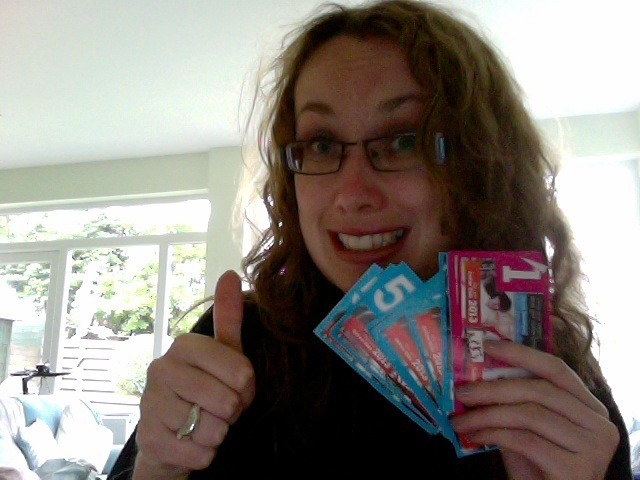 A wee tip – always ask the person at the till if they have any spare vouchers. Some staff will keep aside vouchers not claimed by customers to give to the next person who is collecting. All they can say is ‘No’…but I’ve often got extra vouchers this way, and sometimes people in front of me in the queue will give me their vouchers too.